In June 2000, Klaff Realty, LP, in a joint venture with the Lubert-Adler Real Estate Opportunity Fund, acquired a 164,000 square foot community shopping center across from the Virginia Beach town center. At acquisition, the center was 100% occupied by Barnes & Noble in 28,420 SF and Transworld Entertainment (D/B/A as “f.y.e.”) in 31,395 SF. 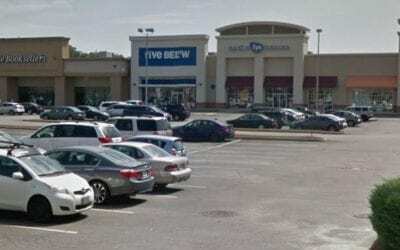 In 2013, management executed a lease amendment with f.y.e to downsize its store to 10,817 SF and Ulta Beauty & Salon and Five Below both signed 10-year leases to backfill f.y.e.’s surrendered space. In 2015, the joint venture consummated an exchange of its fee interest in the property for operating partnership units of the publicly traded REIT, Armada Hoffler Properties Inc. (NYSE: AHH).